I heard about two more Heart Attack Survivors at work recently. Apart from the fact that there seem to be more cardiac emergencies around today than in the past (probably more to do with me than everyone else! ), I was struck by the way they had been treated… the two gentlemen had received 8 and 12 stents respectively. When I had my Heart Attack, the approach was to just treat the blockage that was causing the immediate problem. For me that meant fitting two stents in my Left Anterior Descending or LAD artery. During the procedure they identified that another of my arteries (Right Coronary Artery or RCA) was partially blocked, but as it wasn’t causing any distress so it was left untreated. There is a point of view that stents aren’t great for you. Yes, they are helpful in an emergency situation like mine, but many people are treated with stents as a preventative measure. The argument is that the stent treats the symptom rather than the disease, and in the process reduce the chance that any action will be taken to address the root causes themselves. 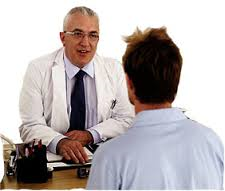 In addition, they leave the patient dependent on a concoction of medication and exposed to the side-effects and potential complications (for example, risks associated with future, non-heart related medical procedures). Personally I haven’t thought much about whether my situation would be significantly different if my other artery had been treated at the same time. Given the emergency nature of my treatment, I obviously didn’t have an opportunity to think about it in advance. There was certainly no debate or discussion as I got wheeled into the “Cath Lab” (See: The Cath Lab (FD ~02:30)). I didn’t have an opportunity to weigh up the pros and cons. There was no cosy chat for me when I arrived at the hospital! To be honest, it doesn’t feel like a huge deal right now, but I recognise that it could turn out to be a big deal at some point in the future. It seems strange to me that if I’d had my Heart Attack today I might have been treated in a very different way than 6 months ago. I guess I have little option but to carry on taking my medication and stay disciplined, it’s up to me to do the work to address the underlying disease (or at least to prevent it from getting any worse). For me, watching what I eat and drink as well as exercising regularly are the key to my long term health. I can’t rely on stents to return me to “normal”. Now it’s all about establishing a new, safer, healthier normal. This entry was posted in Cardiac Rehabilitation, Heart Attack and tagged Angioplasty, Cardiac Rehabilitation, Cardiac Stents, Cath Lab, Heart Attack, LAD, RCA, Stents on December 5, 2013 by Paul Squire.